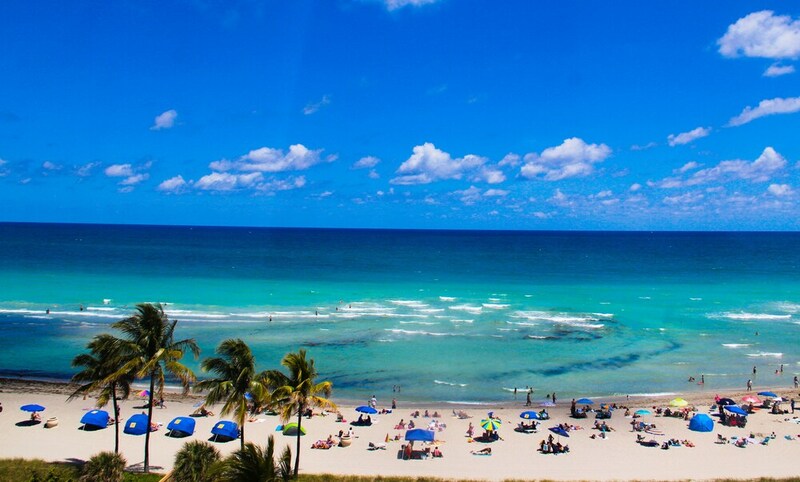 When you stay at Historic Hollywood Beach Resort in Hollywood, you'll be on the beach, a 2-minute drive from Hollywood Beach and 6 minutes from Hollywood North Beach Park. This beach condo is 4 mi (6.4 km) from Gulfstream Park Racing and Casino and 5.6 mi (8.9 km) from Aventura Mall. Make yourself at home in one of the 60 air-conditioned rooms featuring kitchens with refrigerators and stovetops. Complimentary wireless Internet access keeps you connected, and cable programming is available for your entertainment. Conveniences include safes and microwaves, and housekeeping is provided daily. Enjoy a range of recreational amenities, including an outdoor pool, a spa tub, and a 24-hour fitness center. Additional amenities at this condo include complimentary wireless Internet access, concierge services, and gift shops/newsstands. Grab a bite from the grocery/convenience store serving guests of Historic Hollywood Beach Resort. Wrap up your day with a drink at the beach bar. In addition to an outdoor pool and a children's pool, Historic Hollywood Beach Resort provides a spa tub and a 24-hour fitness center. Public areas are equipped with complimentary wireless Internet access. A beach bar is on site where guests can unwind with a drink. This beach condo also offers tour/ticket assistance, multilingual staff, and gift shops/newsstands. Parking is available onsite for a surcharge. Historic Hollywood Beach Resort is a smoke-free property. An outdoor pool, a children's pool, and a spa tub are on site. Other recreational amenities include a 24-hour fitness center.